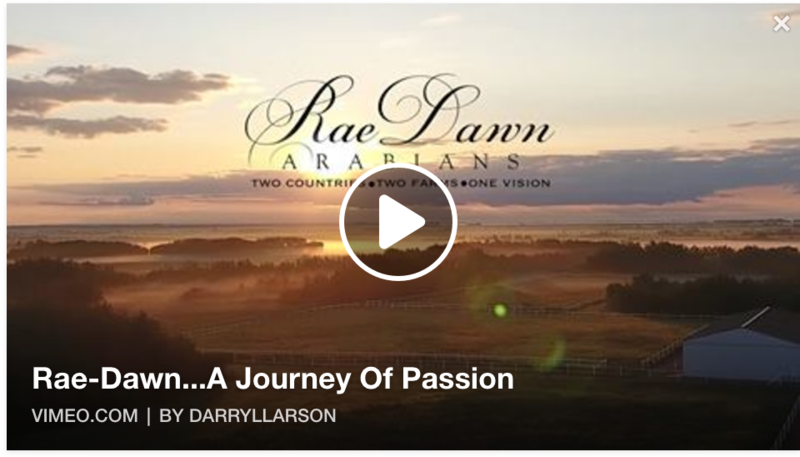 Rae-Dawn farm video released… A journey of passion! Murray & Shirley Popplewell have dedicated themselves for over twenty years to the Arabian horse breed. Their breeding program has influenced Canada, the United States, all over Europe and the Middle East. After many months of collaboration, their farm video production is complete… please visit their website at www.RaeDawnArabians.com/about-us to view.